Los Angeles’ A+D Museum is hosting the world’s first major exhibit featuring architecture visualization as an art form. Instead of a linear journey from blueprints to building information modeling (BIM), the Wireframes exhibit showcases a loose collection of significant moments in the field. The A+D Museum was established in January 2001 by architects Stephen Kanner and Bernard Zimmerman with a mission to celebrate the ways architecture and design intersect with everyday lives. 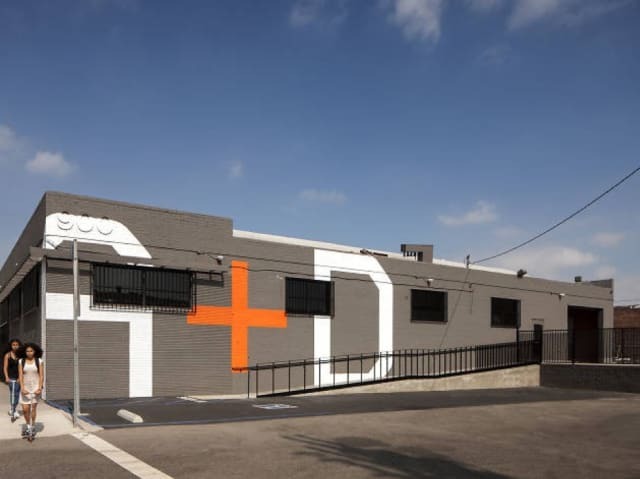 Since then, the museum has moved four times, finally ending up in Los Angeles’ Art District. It’s still the only museum in the city to exclusively host exhibits on architecture and design that focus not just on specific works but on the discussions that shape design and architecture today. In Wireframes, the museum focuses on how we see architecture and design through a mixture of artwork and “stories” curated by more than 30 artists and firms. Instead of following architecture visualization from its beginning to today, these stories shine light on important times for the field, whether it was shaping other fields or being shaped itself by outside forces. The exhibit uses illustrations, projections and interactive virtual reality (VR) environments to express the history of the medium. The central feature is an interactive dome that shows 3D projections and two possible VR experiences—the making of Frank Lloyd Wright’s Trinity Chapel and Zaha Hadid’s Heydar Aliyev Center. Wireframes launched Sept. 8 as part of The Assembly, the museum’s seasonal unveiling of new exhibits. It shares the spotlight with five other new exhibits being opened to the public. Far from diminishing the importance of the exhibit, the setup is aligned with Kanner and Zimmerman’s original vision for the museum. Both men wanted to promote an understanding of architecture and design outside of the industry, bringing different disciplines together and helping laypeople see the importance of design. It seems that’s the exact goal current management had in mind when planning the exhibit.